The Clarinet Trio is the first of four chamber works inspired by the principal clarinetist of the Meiningen Court Orchestra, Richard Mühlfeld. Brahms had been aware of Mühlfeld's artistry since the 1880s, for the Meiningen Orchestra had played his Second Piano Concerto and premiered his Fourth Symphony. It was in 1891, however, that Brahms, while on a week-long stay at the Meiningen court in March, asked Mühlfeld to perform privately for him. Apparently Brahms was impressed, and in November he returned to Meiningen with two new works in hand -- the Trio for clarinet, cello and piano, Op. 114, and the Quintet for clarinet and strings, Op. 115. 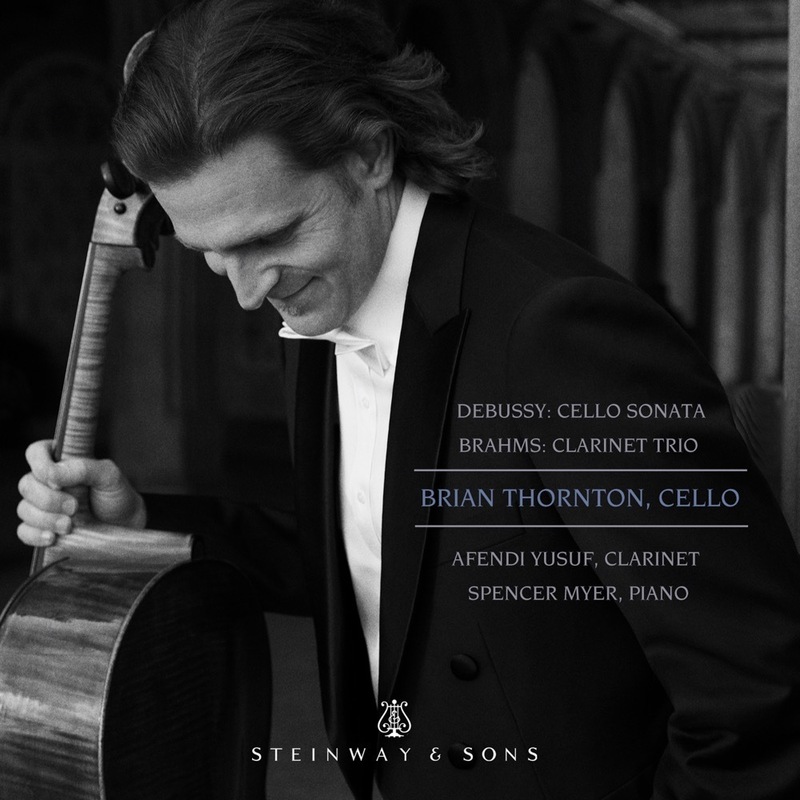 The Trio is a typical example of the restrained and concentrated style of Brahms' later works. It is in the typical four-movement form, and offers nothing remarkable or unusual except in its polished workmanship and Romantic warmth. There is no question that this work, as with the later sonatas for clarinet, was written with that instrument in mind -- the alternative of the viola was added by the first publisher. Regardless, the clarinet plays almost a subordinate role to the cello, weaving contrapuntal inner parts as often as it takes the main melodic material. In the first movement, Allegro a fairly straightforward sonata form grows out of a simple rising arpeggio and descending scale that grow into a complex contrapuntal web that is sustained throughout. A particularly sensitive use of color and registral combinations between the instruments characterizes the second-movement Adagio; the entire movement is constructed of subtle rearrangements of two basic ideas. The third movement is marked Andantino grazioso. The main section of this typical dance form is a lovely and nostalgic Viennese waltz, while the trio section is an Austrian Ländler, the forerunner of the waltz, replete with yodeling clarinet. This short and exciting rondo finale (Allegro is in Brahms' typical gypsy idiom, with its mixture of three-against-four rhythms and colorful minor-mode harmonies. It is the only movement of the Clarinet Trio that could be considered virtuosic, and it ends the work decisively.